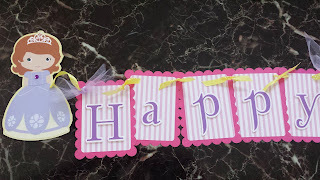 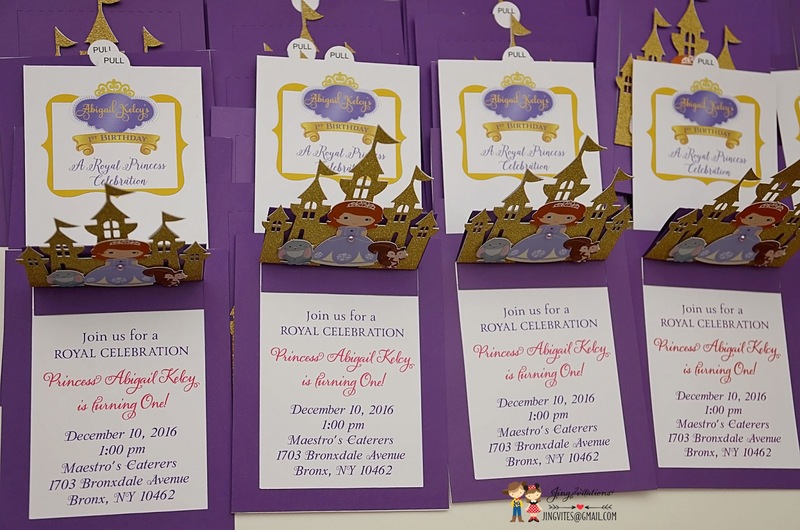 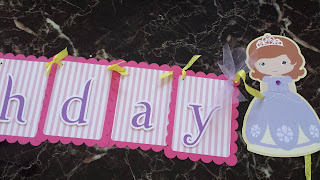 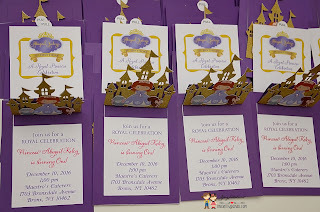 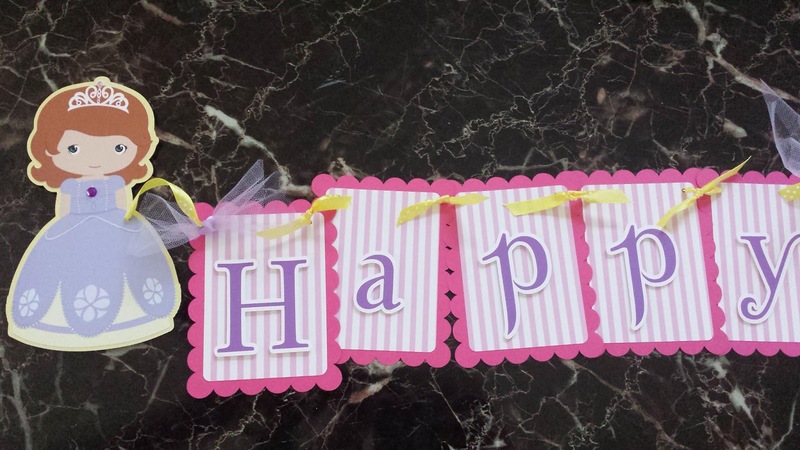 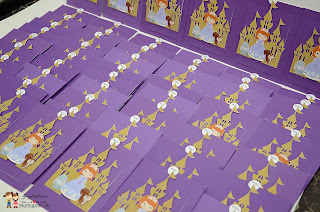 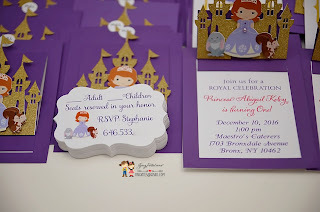 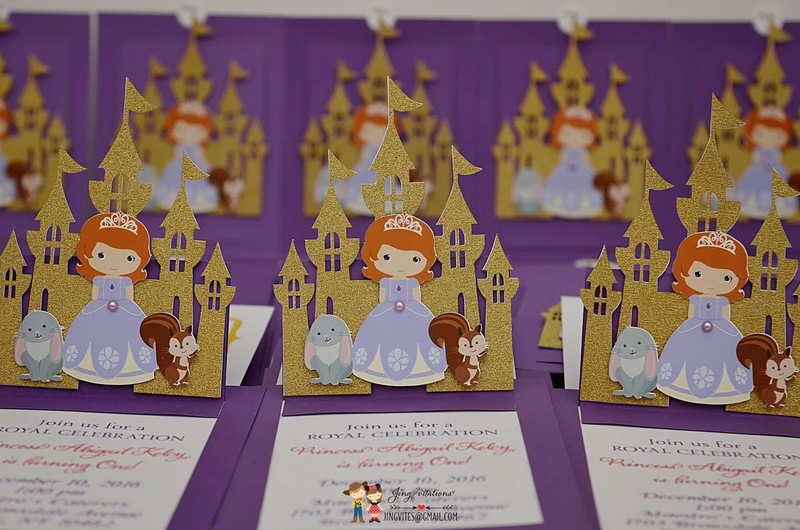 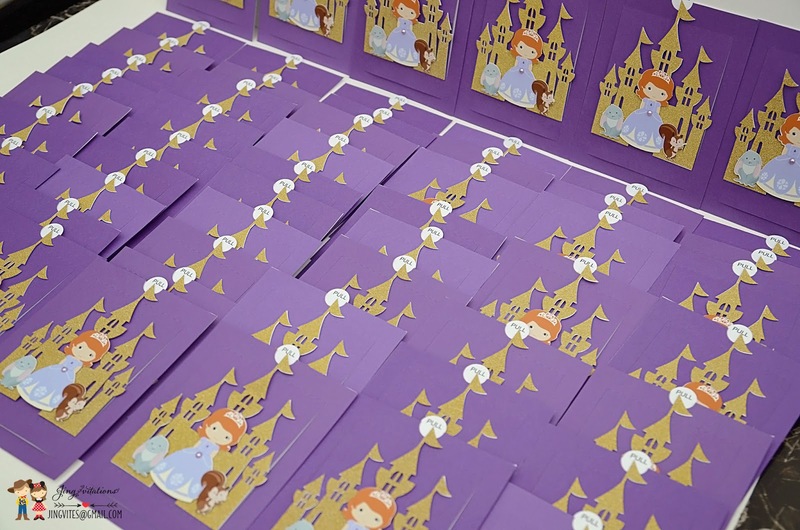 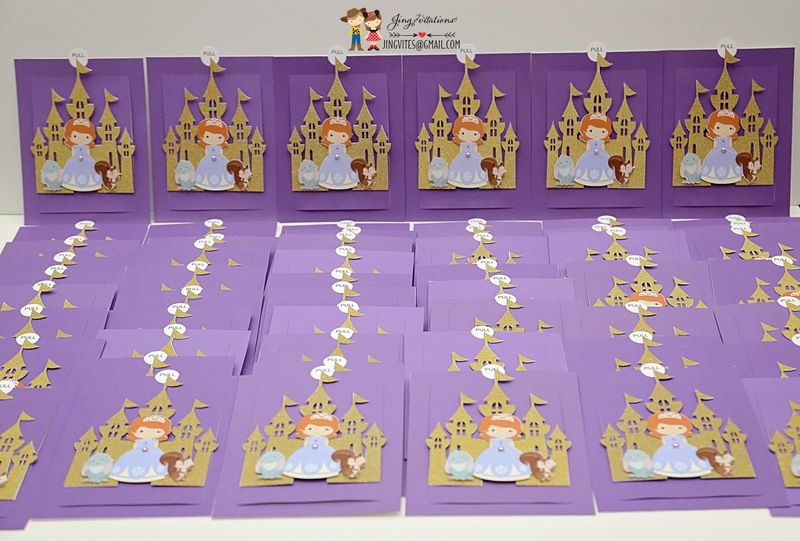 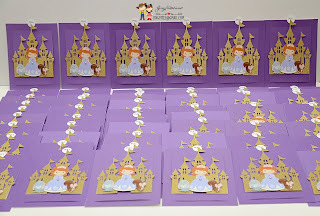 Handmade Sofia the First Invitations, Gift tags and Party banner. 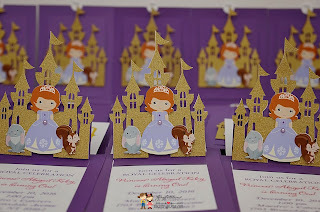 Pop up castle design invitation. Purple background can be customized. 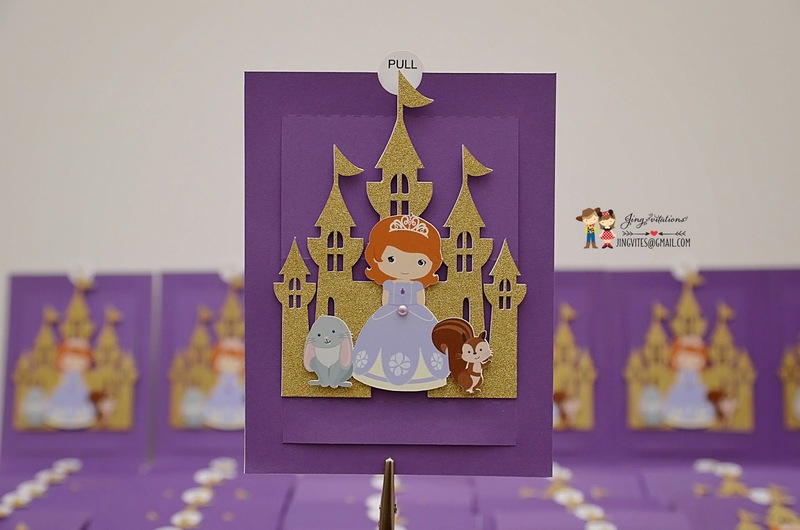 Princess can also be changed to your preference.